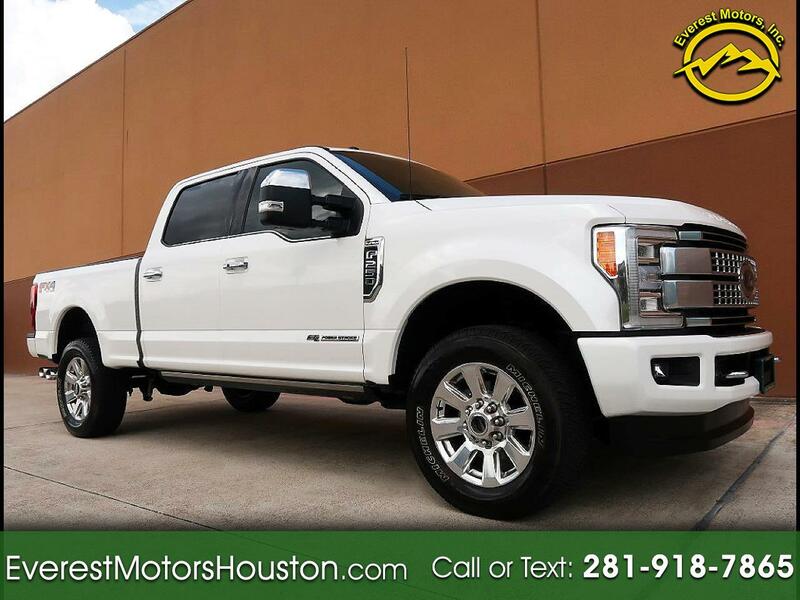 Used 2017 Ford Super Duty F-250 SRW Sold in Houston TX 77063 Everest Motors Inc.
purchase pending call for more info!!!!! ALL OUR VEHICLES ARE UNTOUCHED BY RECENT HURRICANE, WE GUARANTEE NO FLOOD OR ANY STORIES BEHIND OUR VEHICLES!! This Beautiful One Owner and sharp looking truck is in Great condition inside and outside with 3.55 Rear Axle Ratio, Automatic transmission and Best-in-class fuel economy. Best-in-class horsepower. And best-in-class torque. The 6.7L Power Stroke V8 Turbo Diesel engine Designed, engineered and built tough by Ford, you can tow a train with this 4X4 truck!!! These trucks have the most towing capacity! This 4X4 F-250 Ford is ready to rock the world. Engine runs very strong with NO blow by or smoke!!!! Transmission is in excellent performing condition! Turbo boosts are very strong and pulls this heavy truck amazingly! There is NO fluid leaks at all! Underneath this FX4 OFF Road truck is dry and Texan Rust Free! Suspension is tight as it should be and it does not make any noise at all!! This nice 4X4 truck rides and drives Great!!! All the power equipment and gauges work great. exterior color is in Great condition with no major ding, dent or scratches small rock chips on front bumper (Pictured). This 4X4 looks, drives and feels Great! Interior, as shown in the pictures, is in Great condition with no sign of abuse! Everything looks fresh and clean inside of this nice truck, there is no scratch, tear or wear anywhere!!! Leather seats, headliner, and door panels look Great! Carpet has no stain and it is super clean! Four Matching LT275/65R20 Michelin Tires in Great Shape. This nice truck comes with Two Key/Remotes! Don't miss the chance to own this beautiful super duty F-250. All our vehicles are sold AS IS with no warranty. Message: Thought you might be interested in this 2017 Ford Super Duty F-250 SRW.